Washington (AFP) - In January 1865, as the US Civil War was drawing to a close, some freed slaves were promised "40 acres and a mule" to begin new lives. The audacious experiment was fleeting -- repudiated within months by president Andrew Johnson, successor to the assassinated Abraham Lincoln, and the land returned to its former owners. 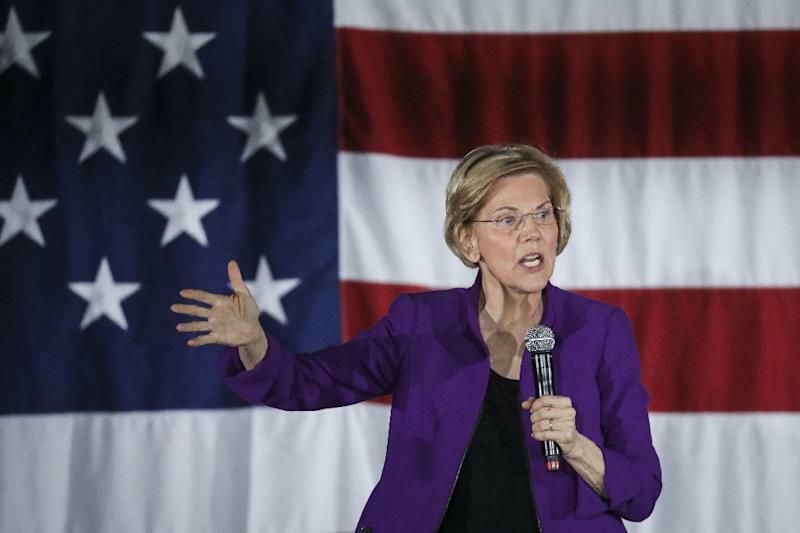 "America was founded on principles of liberty and freedom and on the backs of slave labor," Warren, a senator from Massachusetts, said recently at a CNN event in Jackson, Mississippi. "This is a stain on America," Warren said. "I believe it's time to start the national, full-blown conversation about reparations in this country." 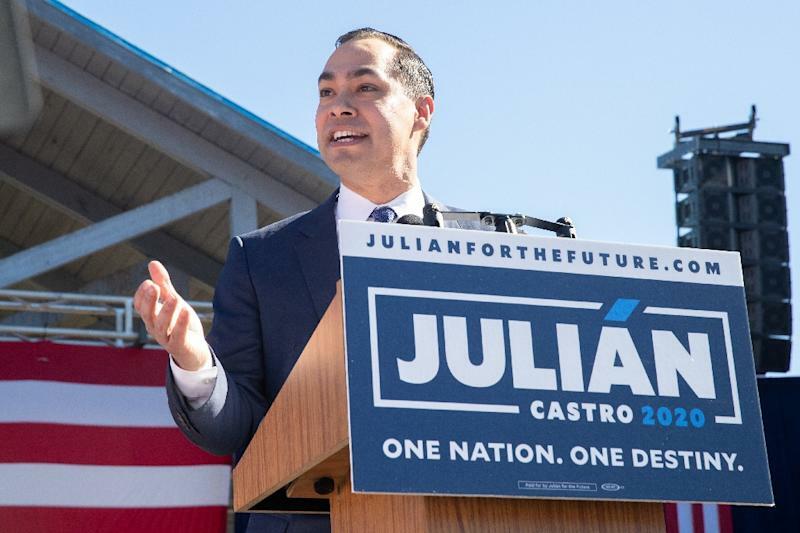 Castro, seeking to become the first US president of Hispanic origin, said he backed reparations while acknowledging there is a "tremendous amount of disagreement" on what they should be. "If, under the Constitution, we compensate people because we take their property, why wouldn't you compensate people who actually were property?" he said. The bill, HR 40, calls for a panel "to address the fundamental injustice, cruelty, brutality, and inhumanity of slavery in the United States and the 13 American colonies between 1619 and 1865." The commission would "consider a national apology and proposal for reparations for the institution of slavery." HR 40 -- so named for the unkept "40 acres and a mule" pledge -- was first introduced in the House three decades ago and has been resubmitted every year since, but has never reached the floor for a vote. Senators Kamala Harris and Cory Booker, the two black candidates in the race, have also signaled support for reparations while former Texas congressman Beto O'Rourke has said there should be a "conversation" about the subject. 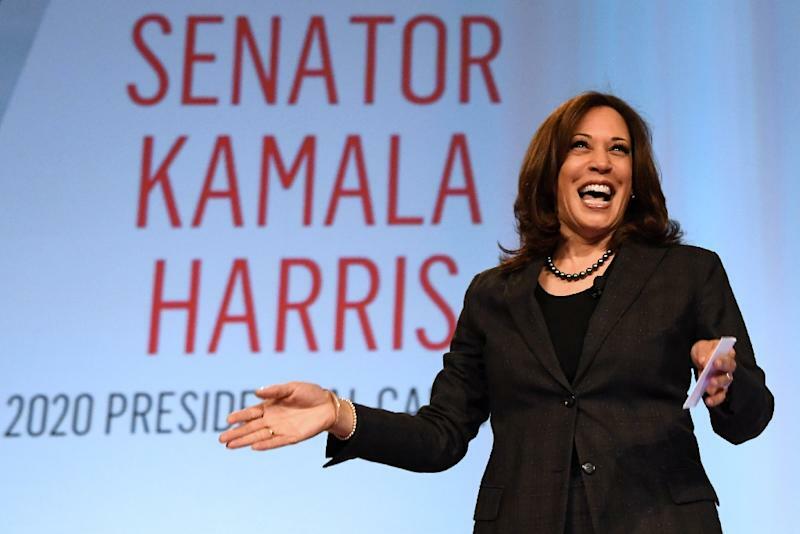 "We need to study the effects of generations of discrimination and institutional racism and determine what can be done, in terms of intervention, to correct course," Harris said on National Public Radio. Williamson has proposed creating a $200- $500 billion fund to do it -- a number that scholars of the subject have ridiculed as far too little. A more reasonable figure, they argue, would run into the trillions of dollars. Two other Democratic hopefuls -- Vermont Senator Bernie Sanders and Minnesota Senator Amy Klobuchar -- have supported addressing racial inequality as part of their wider plans to reduce income disparity. "I think right now our job is to address the crises facing the American people in our communities," Sanders said on ABC's "The View." "And I think there are better ways to do that than just writing out a check." Klobuchar said there was a need to "invest in those communities that have been so hurt by racism." "That means looking at, for our whole economy, community college, one-year degrees, minimum wage, child care," she said on NBC's "Meet the Press." "It doesn't have to be a direct pay for each person." Author Ta-Nehisi Coates, in a seminal 2014 article in The Atlantic called "The Case For Reparations," said the idea is "frightening" to many Americans "not simply because we might lack the ability to pay." "The idea of reparations threatens something much deeper -— America's heritage, history, and standing in the world," Coates said. "But I believe that wrestling publicly with these questions matters as much as -- if not more than -- the specific answers that might be produced," he said. "An America that asks what it owes its most vulnerable citizens is improved and humane."